A compelling and satisfying set for the avid indie rocking Glasvegas fans that packed out a sold out Wedgewood Rooms in Portsmouth on 21 March 2012. 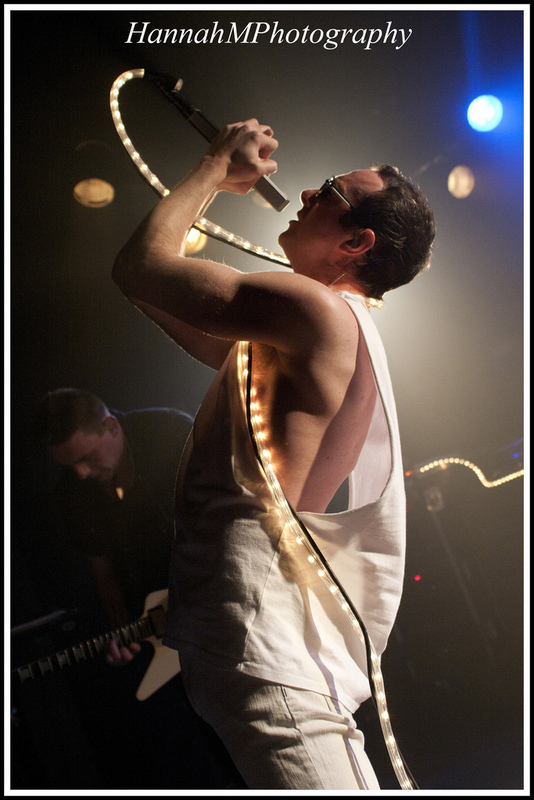 An early warning for newcomers though, Glasvegas can be hard to take for those with an ear for rock in its purest sense or a preference for melodic harmony and vocals. That said there must be something unique about a band that can attract such a bizarre mix of people. From glam rockers and vane looking mod types to aged white bearded folk fanatics and roughish Scottish blokes that dominantly towered above the remaining breed of geeky lads – this was a truly alternative crowd. Having been prepped and inspired by the enthusiasm from the fans and the most unexpected enchanting treat of the evening from support act, Gillian Christie, we looked on to a stage that breathed with the sounds of Moonlight Sonata by Beethoven and throbbed with the glow of a smoky white light as the band graced the stage. Pleasingly broken by the ringing out of distorted guitar and promptly attacked by the machine gun drum build that provoked the lighting to bolts and framed the stadium like entrance for cocky sunglass wearing, Wham-like clothed frontman, James Allan. An epic musical takeover and promising start to the night. Unfortunately, once the excitement wore off and the songs continued to lead nowhere new, the whole experience was initially quite stressful. The fusion of indie vocals, dance keys and rock backline seemed to clash rather than provoke any emotive response, an observation that was particularly prominent having experienced the uplifting emotional takeover from The Red Jumpsuit Apparatus and Ivyrise the week before. At first, it just seemed like there was too much going on and the vocals were over hyped with reverb, which made attempting to make any sense of the song exhausting and confusing given such a positive turnout. An initial shallow perception that I would imagine provokes those that do not appreciate the band to date. However, on a mission for objectivity I visually probed the room watching the ‘pick a mix’ bag of indie folk Scottish trance rocking treats sway and chant along with the belted out yobbish vocals with tones that could be likened to Shane MacGowan and noticed one common notion. Everyone was totally and selfishly absorbed in the music, which during a more heartfelt Glasvegas song, randomly reminded me of an old friend who sadly committed suicide in his late 20s. Nick was a character full of angst and the constant craving for escape and I loved the way he used to belt out Oasis tunes in someone’s living room or seem completely alone in a crowded room, dancing terribly and in his own world. Right now he would be in his element, launching his voice into the air – this would be Nick’s musical heaven and that was when it struck me, just stop listening. 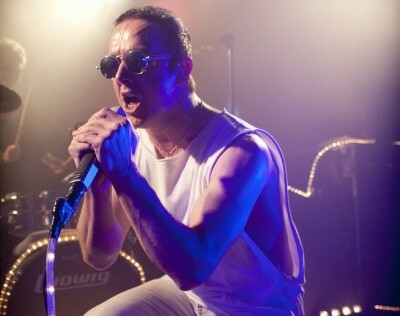 Glasvegas make the kind of music that is enjoyed in a euphoric spaced out state, in the late night of a festival, by a strobe junkie ‘raver’ in a club and from anyone open and ready to be willingly absorbed into an alternative abyss of sound. This new appreciation along with an evolving set which revealed the bands harder rock influences and demonstrated more structure and emotion, built to a pleasing climax and eventual victory into the world of Glasvegas and understanding of their greatness! There is no denying that this realisation took work for this ‘feel good’ and hard rock fan, but for anyone with a taste for alternative indie rock and experimental pop, Glasvegas are a tantalising high not to be missed.